40 individual tea pouches. 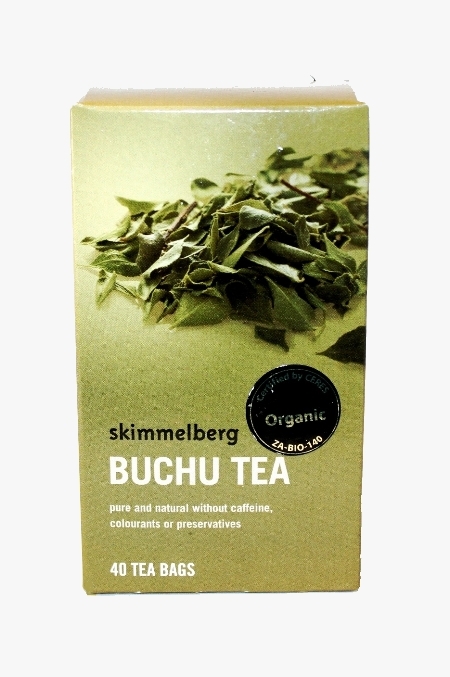 Buchu is one of the most important herbal medicines emanating from South Africa. 40 individual tea pouches. Buchu is one of the most important herbal medicines emanating from South Africa. Today it is used worldwide in various forms for the treatment of ailments such as cystitis, prostatitis and arthritis, the treatment of bruises, and as a natural diuretic. Just as Rooibos, it forms part of Fynbos, the natural vegetation of the Cape Floral Kingdom.